I guess summer temperatures are finally upon us and, I must admit, I am not a summer person at all! And maybe my laptop isn’t either; I fear it has entered hospice care so this week’s blog might be a bit brief. Episcopalian must be called to follow Jesus more deeply. Into the neighborhood. Jesus sends us together into the places where ordinary life unfolds. We are sent to testify to God’s reign as we form and restore community by sharing in God’s peacemaking and healing. This begins with deep listening to neighbors, relying upon their hospitality rather than expecting them to find us on our terms. In today’s increasingly diverse world, we must learn how to bear witness to, and receive from, those of different cultures, faiths, and beliefs, “eating what is set before us.” For many churches now disconnected from neighbors, this will mean attempting small experiments in sharing God’s peace as we learn how to form Christian community and witness with those neighbors. Travel lightly. Jesus sends us out empty-handed so that we might rely upon God’s abundance, which sometimes comes to us through the hospitality of our neighbors. We must hold inherited structures loosely as we make space for alternative patterns of organizing our life together. We must discern what of our traditions is life-giving and what unduly weighs us down. Traveling lightly means going in vulnerability, risking being changed by God and our neighbors. Some of the proposed resolutions that came from their work received significant criticism but after the legislative hearings and debates of the floor of Convention, I think we came to some good compromises. I was one of the naysayers at first because I didn’t quite see how changing structure and governance would necessarily change people’s hearts and behaviors. But, after listening to some of the discussions, I will admit that some streamlining might enable the work to get done and give more time to follow Jesus into the neighborhood and not be a drain on our resources. Resolved, That the Domestic and Foreign Missionary Society develop a network to help Episcopal congregations, including clergy, vestry, organist, musical, lay, and other liturgical leaders, to become skilled in creating, nurturing, and developing spaces and moments for spiritual encounters that transform lives and unjust structures; and to have partnerships and practices with other congregations to become excellent stewards of spiritual, financial, real estate, and community resources; and to report their progress and learning annually to their Diocesan Convention/Council and Bishop. We live in a changing demographic, as you all well know. With the increase of the “spiritual but not religious” and the “nones” and “gones,” our pews are emptying and our clergy are questioning just how they can pay back their seminary loans, support a family and continue in the ministry to which they have been called. Perhaps it’s time to look for ways to encourage other means of support for them including bi-vocational ministry and seminary education that might be less costly. Part of reimagining is also recognizing that the people aren’t venturing into our buildings but we may have to actually go out to where they are. To do this effectively, the educational structure will need to be adapted to provide the appropriate experience and training. The “emerging church” requires “emerging clergy” and new models of ministry. Resolved, the House of Bishops concurring the 78th General Convention charge the Standing Commission on the Structure of the Church to explore unicameral models of church governance including the polities and the legislative processes. The Standing Commission will seek input from bodies beyond The Episcopal Church including but not exclusive to the Anglican Church of Canada and the Evangelical Lutheran Church in America. The Standing Commission will make recommendations to the 79th General Convention. While many were supportive of the idea of a joint body (bishops meeting with deputies), others felt strongly that each House needed the opportunity to speak freely without concern for stepping on toes or offending either the bishops or the deputies. We will get the chance to hear from the Standing Commission in 3 years. Sec. 1 (a) There shall be an Executive Council of the General Convention (which Council shall generally be called simply the Executive Council, or the Council) whose duty it shall be to oversee the execution of the program and policies adopted by the General Convention. The Executive Council shall have oversight of the work done by the Domestic and Foreign Missionary Society in its capacity as its Board of Directors. The Council shall have oversight responsibility for the disposition of the funds and other property of the Domestic and Foreign Missionary Society in accordance with the provisions of this Canon and the resolutions, orders, and budgets adopted or approved by the General Convention. The Executive Council shall also have oversight responsibility for the work of the Office of General Convention and the Executive Officer of General Convention who shall report directly to the Executive Council. It shall also have oversight responsibility for the disposition of the moneys of the Office of General Convention. The Council shall adopt procedures it deems appropriate for approval of expenditures by the Domestic and Foreign Missionary Society and the Office of General Convention. (b) The Executive Council shall be accountable to the General Convention and shall render a full, published report concerning the work of the bodies for which it has oversight responsibility to each meeting of the General Convention. The report shall include information on the implementation of all resolutions adopted in the previous General Convention calling for action by the Executive Council, the Domestic and Foreign Missionary Society, and the Office of General Convention. (c) The Council shall exercise the powers conferred upon it by Canon, and such further powers as may be designated by the General Convention, and between sessions of the General Convention may initiate and develop such new work as it may deem necessary. Subject to the provisions of these Canons, it may enact By-laws for its own government and enact procedures for its own committees. (d) The Executive Council shall be composed (a) of 20 members elected by the General Convention, of whom four shall be Bishops, four shall be Presbyters or Deacons, and 12 shall be Lay Persons who are confirmed adult communicants in good standing (two Bishops, two Presbyters or Deacons, and six Lay Persons to be elected by each subsequent regular meeting of the General Convention); (b) of 18 members elected by the Provincial Synods; (c) of the following ex officiis members: the Presiding Bishop and the President of the House of Deputies; and (d) the Chief Operating Officer, the Secretary, the Treasurer of the General Convention, the Chief Financial Officer of the Domestic and Foreign Missionary Society, and the Chief Legal Officer of the Executive Council, all of whom shall have seat and voice but no vote. Each Province shall be entitled to be represented by one Bishop or Presbyter or Deacon canonically resident in a Diocese which is a constituent member of the Province and one Lay Person who is a confirmed adult communicant in good standing of a Diocese which is a constituent member of the Province, and the terms of the representatives of each Province shall be so rotated that two persons shall not be simultaneously elected for equal terms. (e) The Executive Council shall appoint a committee from among its members to assist the Council to (i) advise the Joint Standing Committee on Nominations and the Provincial Councils on what skills, gifts and experience are needed on the Executive Council to enable it to function with maximum effectiveness, and whether those skills are at that time represented on the Executive Council, and (ii) create a description of the skills, gifts and experience requisite for service on the Executive Council, including the value of cultural and geographic diversity on the Council and the value of including historically underrepresented voices in the governance of the Church. (f) Of the Executive Council members elected by the General Convention, the Bishops shall be elected by the House of Bishops subject to confirmation by the House of Deputies, and the Presbyters or Deacons and Lay Persons shall be elected by the House of Deputies subject to confirmation by the House of Bishops. (g) Except in the case of members initially elected for shorter terms in order to achieve rotation of terms, the terms of office of the members of the Council (other than ex-officiis members) shall be equal to twice the interval between regular meetings of the General Convention. The terms of office of all members shall commence immediately upon the adjournment of the General Convention at which they were elected or, in the case of election by a Synod, upon the adjournment of the first regular meeting of General Convention following such election. The term of a member shall become vacant in the event of two absences from meetings of the Council in the interval between successive regular meetings of the General Convention unless excused by the Chair or Vice Chair for good cause. Members shall remain in office until their successors are elected and qualified. No person who has served at least three consecutive years on the Executive Council shall be eligible for immediate re-election for a term of more than three years. After any person shall have served six consecutive years on the Executive Council, a period of three years shall elapse before such person shall be eligible for re-election to the Council. (h) Should any vacancy occur in the Council through death, resignation, disability, or other reason, with respect to a member elected by the General Convention, the Council shall fill such vacancy by the election of a suitable person to serve until a successor is elected by the General Convention. (i) Should any vacancy occur in the Council through the failure of any Provincial Synod to elect a member, or through the death, resignation, or removal from the Province of any such member, the Provincial Council of the Province shall appoint a suitable person to serve until the Provincial Synod shall by election fill the vacancy. Sec. 2. (a) The Presiding Bishop shall, ex officio, be the Chair and chief executive officer of the Executive Council, and as such, shall have ultimate responsibility for the oversight of the work of the Executive Council in the implementation of the ministry and mission of the Church as may be committed to the Executive Council by the General Convention. (b) The President of the House of Deputies shall, ex officio, be the Vice- Chair of Executive Council. (c) The Secretary of the General Convention shall be ex officio the Secretary of the Executive Council. (d) The Treasurer of the General Convention shall be ex officio the Treasurer of the Executive Council. (e) The Chair shall preside at meetings of the Council, shall perform such other duties as are customary for such office, and shall perform such other duties as may be conferred by Canon and the By-laws of the Council. In the absence of or at the request of the Chair, the Vice- Chair shall preside at meetings of the Council and shall perform such other duties as may be conferred by Canon and by the By-laws of the Council. (f) Upon joint nomination by the Chair and the Vice-Chair, the Council shall appoint a Chief Operating Officer who shall serve at the pleasure of, and report and be accountable to, the Chair. If a vacancy should occur in the office of the Chief Operating Officer, a successor shall be appointed in like manner. (g) Upon joint nomination by the Chair and the Vice-Chair, the Council shall appoint a Chief Financial Officer who shall serve at the pleasure of, and report and be accountable to, the Chair. If a vacancy should occur in that office, a successor shall be appointed in like manner. (h) Upon joint nomination by the Chair and the Vice-Chair, the Council shall appoint a Chief Legal Officer who shall function as general counsel and serve at the pleasure of, and report and be accountable to, the Chair. If a vacancy should occur in that office, a successor shall be appointed in like manner. (i) The Chief Operating Officer, the Chief Financial Officer, and the Chief Legal Officer of the Executive Council shall participate in an annual performance review conducted by the Chair, the results of which will be presented to the Executive Committee of the Executive Council. (j) The Officers of the Domestic and Foreign Missionary Society and the Officers of the Executive Council, and a committee of six members of Executive Council who are not officers, shall engage in a mutual ministry review every eighteen months, facilitated by a consultant selected by the Chair and the Vice-Chair. (k) The Council shall elect the Church’s members of the Anglican Consultative Council (ACC) and of other Anglican and ecumenical bodies for which no other procedure is provided in the Canons. 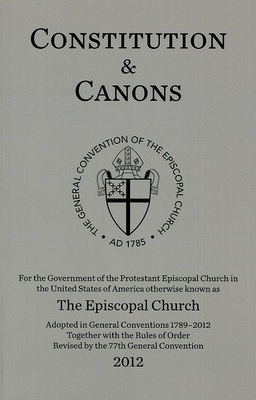 Members of the ACC representing The Episcopal Church shall report to each General Convention using the schedule and format required for Standing Commissions in these Canons, and shall provide comprehensive written reports to Executive Council at the Council’s next meeting following each meeting of the ACC. Sec. 3. Upon joint nomination of the Chair and the Vice-Chair, the Executive Council shall elect an Audit Committee of the Council and the Domestic and Foreign Missionary Society. The Committee shall be composed of six members: one from the Executive Council committee with primary responsibility for financial matters; one from the Joint Standing Committee on Program, Budget, and Finance; and the remaining four from members of the Church-at-large having experience in general business and financial practices. The members shall serve for a term of three years beginning on January 1 following a regular meeting of the General Convention or immediately following their appointment, whichever comes later, and continue until a successor is appointed, and may serve two consecutive terms, after which a full triennium must elapse before being eligible for re-election. Annually the Audit Committee shall elect a Chair of the Committee from among its members. The Audit Committee shall regularly review the financial statements relating to all funds under the management or control of the Council and the Domestic and Foreign Missionary Society and shall report thereon at least annually to the Council. Upon recommendation of the Audit Committee, the Executive Council shall employ on behalf of the Council and the Domestic and Foreign Missionary Society an independent Certified Public Accountant firm to audit annually all accounts under the management or control of the Council and Domestic and Foreign Missionary Society. After receipt of the annual audit, the Audit Committee shall recommend to the Council and the Domestic and Foreign Missionary Society what action to take as to any matters identified in the annual audit and accompanying management letter. The responsibilities of the Audit Committee shall be set out in an Audit Committee Charter. The Audit Committee shall review, at least annually, the Committee’s Charter and recommend any changes to the Executive Council for approval. Sec. 4. The Executive Council may establish by its By-laws Committees and ad hoc working groups or task forces, which may include or consist of non-members, to be nominated jointly by the Chair and Vice-Chair and appointed by the Council, as may be necessary to fulfill its fiduciary responsibility to the Church. All Committees and ad hoc working groups and task forces of Executive Council will cease to exist at the close of the next General Convention following their creation unless extended by Executive Council. Executive Council may revoke, rescind, or modify the mandate or charter of all Executive Council Committees, ad hoc working groups and task forces not otherwise created by Canon. Sec. 5. (a) The Council shall meet at such place, and at such stated times, at least three times each year, as it shall appoint and at such other times as it may be convened. The Council shall be convened at the request of the Chair, or on the written request of any five members of Council. (b) A majority of the elected members of the Council shall be necessary to constitute a quorum at any meeting of the Council. No action shall be taken in the name of the Council except when a quorum, so defined, is present and voting. A member may participate in, and vote at, Council meetings by means of technology where all participants may hear one another simultaneously and according to procedures and guidelines set forth in the Council By-laws. (c) Members of Executive Council shall be entitled to reimbursement for their reasonable expenses of attending meetings, in accordance with procedures established and approved by Executive Council. Except as determined by General Convention, the salaries of all officers of the Council and of all agents and employees of the Council and the Domestic and Foreign Missionary Society shall be fixed by the Council. Likely you are wondering why I chose to include the entire text of this lengthy resolution. Well, it’s because I think all too often we go about our church experiences as though our local congregation is all there is to The Church. While we are engrossed in the good work we’re doing for God’s Kingdom, there are many other who are working behind the scenes to enable us to do what we’re doing. Our Canons provide the skeleton for our Body which gives us support and movement; without them TEC wouldn’t be able to stand and function well. I know they don’t make for page-turning reading but we each should invest time to at least one read-through so we know what they say and how they work for us. Sec. 2 (a) The General Convention by Canon may establish Standing Commissions to study and draft policy proposals on major subjects considered to be of continuing concern to the mission of the Church. The Canon shall specify the duties of each Standing Commission. Standing Commissions shall be composed of five Bishops, five Priests and/or Deacons of this Church and ten Lay Persons, who shall be confirmed adult communicants of this Church in good standing. The Priests, Deacons, and Lay Persons are not required to be Deputies to General Convention. (b) The terms of all members of Standing Commissions shall be equal to the interval between the regular meeting of the General Convention preceding their appointment and the adjournment of the second succeeding regular meeting of the General Convention, and such terms shall be rotated so that, as near as may be, the term of one-half of the members shall expire at the conclusion of each regular meeting of the General Convention. The term of a member shall become vacant in the event of two absences from meetings of the Commission occurring in the interval between successive regular meetings of the General Convention unless excused by the Commission for good cause. (c) The Presiding Bishop shall appoint the Episcopal members and the President of the House of Deputies shall appoint the Lay and other Clerical members of each Commission as soon as practicable after the adjournment of the General Convention, but not later than 90 days after adjournment. 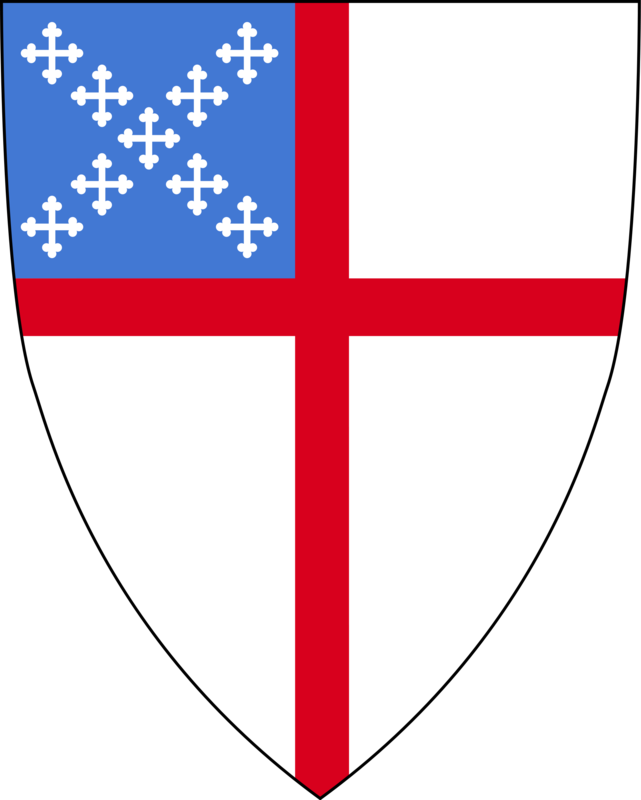 Episcopal members appointed after the adjournment of any General Convention at which a Presiding Bishop is elected shall be appointed by the Presiding Bishop-elect. Vacancies shall be filled in similar manner; provided, however, that vacancies occurring within one year after the next regular General Convention shall not be filled unless requested by the Commission. (d) The Presiding Bishop and the President of the House of Deputies shall jointly appoint members of the Executive Council as liaisons to facilitate communication between the Executive Council and each Standing Commission and the coordination of the work of each Standing Commission and the committees of Executive Council. Notice of such appointments shall be given to the Secretary of General Convention. These liaisons shall not be members of the Commission but shall have seat and voice. The reasonable expenses of these liaisons shall be provided for by the Executive Council. Each Commission shall have staff support from the Domestic and Foreign Missionary Society designated by the Presiding Bishop. Each Commission may constitute committees from among members or non-members of the Commission, and, subject to the Commission’s budget, engage the services of consultants and coordinators necessary to complete its work. (e) The Presiding Bishop and the President of the House of Deputies shall be members ex officiis of every Commission, or may appoint personal representatives to attend any meeting in their stead, but without vote. (f) The Executive Officer of the General Convention shall, not later than 120 days following the meeting of the General Convention, notify the members of the General Convention of the Commission appointments and their duty to present reports to the next Convention and shall schedule an organizational meeting for each Commission. One year prior to the opening day of the Convention, the Executive Officer of the General Convention shall remind the Chairs and Secretaries of all Commissions of this duty. (g) Every Commission shall elect a chair, vice chair, and secretary. (h) The General Convention may refer a relevant matter to a Commission for its consideration; but may not direct the Commission to reach any particular conclusion. (i) A Commission shall give timely and appropriate notice to the Church of the time, place, and agendas of meetings; and instructions on how members of the Church may address their views to the Commission. (j) Every Commission shall prepare a report, which, together with any minority report, shall be sent, not later than 150 days prior to the opening day of each Convention, to the Executive Officer of the General Convention, who shall distribute the same to all members of the Convention. Set forth the names of its original members, any changes in membership, the names of all those who concur in, and all those who dissent from, its recommendations. Summarize the work of the Commission, including the various matters studied, the recommendations for action by the General Convention, and drafts of Resolutions proposed for adoption to implement the recommendations of the Commission. Include a detailed report of all receipts and expenditures, including moneys received from any source whatsoever, and if it recommends that it be continued, the estimated requirements for the ensuing interval until the next regular meeting of the General Convention. (l) Every Commission, as a condition precedent to the presentation and reception of any report to General Convention in which such Commission proposes the adoption of any Resolution, shall, by vote, authorize a member or members of General Convention, who, if possible, shall be a member of the Commission, with such limitations as the Commission may impose, to accept or reject, on behalf of the Commission, any amendments proposed by General Convention to any such Resolution; provided, however, that no such amendment may change the substance of the proposal, but shall be primarily for the purpose of correcting errors. The name of the member or members of General Convention upon whom such authority has been conferred, and the limitations of authority, shall be communicated in writing to the Presiding Officers of General Convention not later than the presentation of such report to the General Convention. (m) Every Commission whose Report requests expenditure out of the funds of the General Convention (except for the printing of the Report) shall present to the Joint Standing Committee on Program, Budget, and Finance its written request, on or before the first business day of the session. Resolutions requiring additional expenditures shall be immediately referred to the Joint Standing Committee on Program, Budget, and Finance. No resolution involving such expenditures shall be considered unless so presented and until after report of the Joint Standing Committee on Program, Budget, and Finance. Review such proposed amendments to the Constitution and Canons as may be submitted to the Commission, placing each such proposed amendment in proper Constitutional or Canonical form, including all amendments necessary to effect the proposed change. The Commission shall express its views with respect to the substance of any such proposal only to the proponent thereof; provided, however, that no member of the Commission shall, by reason of membership, be deemed to be disabled from expressing, before a Legislative Committee or on the floor of the General Convention, personal views with respect to the substance of any such proposed amendment. Conduct a continuing comprehensive review of the Constitution and Canons with respect to their internal consistency and clarity, and on the basis of such a review, propose to the General Convention such technical amendments to the Constitution and Canons as in the opinion of the Commission are necessary or desirable in order to achieve such consistency and clarity without altering the substance of any Constitutional and Canonical provisions; provided, however, that the Commission shall propose, for the consideration of the appropriate Legislative Committees of the General Convention, such amendments to the Constitution and Canons as in the opinion of the Commission are technically desirable but involve a substantive alteration of a Constitutional or Canonical provision. On the basis of such review, suggest to the Domestic and Foreign Missionary Society such amendments to its By-laws as in the opinion of the Commission are necessary or desirable in order to conform the same to the Constitution and Canons. Conduct a continuing and comprehensive review and update of the authorized “Annotated Constitution and Canons for the Government of the Protestant Episcopal Church in the United States of America otherwise known as The Episcopal Church” to reflect actions of General Convention which amend the Constitution and Canons and, in the discretion of the Commission, develop other materials which are appropriate to the purpose of the “Annotated Constitution and Canons,” and facilitate the publication of this document and related materials. The Commission may provide or support forums to promote commentary, discussion, and understanding of the Constitution and Canons. Discharge such other duties as shall from time to time be assigned by the General Convention. Study and make recommendations concerning the structure of the General Convention and of The Episcopal Church. It shall, from time to time, review the operation of the several Committees, Commissions, and Boards to determine the necessity for their continuance and the effectiveness of their functions and to bring about a coordination of their efforts. Whenever a proposal is made for the creation of a new Committee, Commission, Board or Agency, it shall, wherever feasible, be referred to this Standing Commission for its consideration and advice. Discharge such duties as shall be assigned to it by the General Convention as to policies and strategies concerning the common worship of this Church. Collect, collate, and catalogue material bearing upon possible future revisions of the Book of Common Prayer. Cause to be prepared and to present to the General Convention recommendations concerning the Lectionary, Psalter, and offices for special occasions as authorized or directed by the General Convention or Convocation of Bishops. Recommend to the General Convention authorized translations of the Holy Scripture from which the Lessons prescribed in the Book of Common Prayer are to be read. Receive and evaluate requests for consideration of individuals or groups to be included in the Calendar of the Church year and make recommendations thereon to the General Convention for acceptance or rejection. Collect, collate, and catalogue material bearing upon possible future revisions of The Hymnal 1982 and other musical publications regularly in use in this Church, and encourage the composition of new musical materials. Cause to be prepared and present to the General Convention recommendations concerning the musical settings of liturgical texts and rubrics, and norms as to liturgical music and the manner of its rendition. At the direction of the General Convention, to serve the Church in matters pertaining to policies and strategies concerning Church music. (o) At the first meeting of the Executive Council following the adjournment of a General Convention, and subject to budgeted funds available for the purpose, the Presiding Bishop and the President of the House of Deputies, having reviewed the resolutions adopted by the General Convention that provide for any study or further action, shall thereupon recommend to Executive Council, the creation of such study committees and task forces as may be necessary to complete that work. Any Executive Council resolution creating a task force or study committee shall specify the size and composition, the clear and express duties assigned, the time for completion of the work assigned, to whom the body’s report is to be made, and the amount and source of the funding for the body. The members of each such body shall be jointly appointed by the Presiding Bishop and the President of the House of Deputies, and the composition of such committees and task forces shall reflect the diverse voices of the Church and a balance of the Church’s orders consistent with the historic polity of the Church. Those committees and task forces so appointed shall expire at the beginning of the next General Convention following, unless reappointed by the Presiding Bishop and President of the House of Deputies and reauthorized by the Executive Council. Again, a lengthy resolution but this one directly addresses the desire to streamline the work done by those groups that meet between conventions. By reducing the number of Standing Commission to just 2, the hope is that there will not be overlap and redundancy in the work being done and will be more responsible in both human and financial resources. OK, there you have it! How many of you actually read this far? I should consider some prize for those of you who made it to the end! Maybe I will but you’ll have to let me know. Send me an email or reply to this post and see what happens. Until then, let’s close this missive in prayer as always. These are only the resolutions from one committee; we still have much work ahead! who are far off and to those who are near: Grant that people everywhere may seek after you and find you, bring the nations into your fold, pour out your Spirit upon all flesh, and hasten the coming of your kingdom; through Jesus Christ our Lord, who lives and reigns with you and the Holy Spirit, one God,now and for ever. Amen.